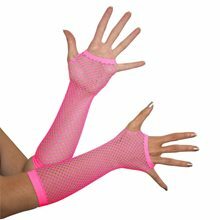 Fishnet arm warmers are black in color and are a great addition to any costume! 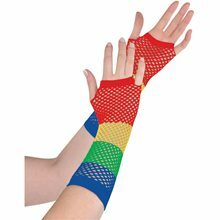 Spiderweb Arm Warmers are Black in color.These are having the spiderweb on them.These can perfectly goes with your spider woman costume. 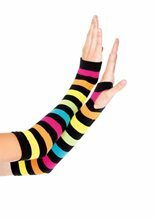 Black Sheer Spider Web Arm Warmers Includes one pair of Gloves.They are one size fits all.They are Black in color. 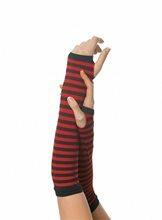 Deluxe Red & Black Striped Arm Warmers;These awesome red and black striped arm warmers by Blest are a great way to add some color to your look! One size, but super stretchy to fit anyone. 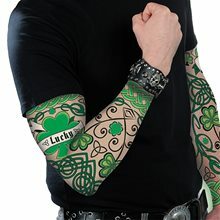 Check out the white style, too!